Sit in Cosm, and you might forget you’re sitting in a chair at all. It’s sophisticated ergonomic design instantly responds to your body, movement, and posture to provide natural balance and total support. 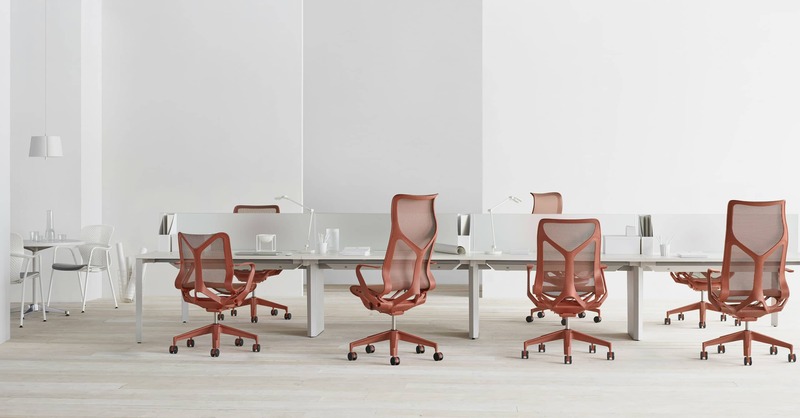 No matter who sat in the chair before you, how long you’ll be in it, or what you’ll be doing, Cosm gives you a new experience of comfort – anywhere you work. Cosm’s Auto-Harmonic Tilt, Intercept suspension, and flexible frame work together to give you a feeling of weightlessness. 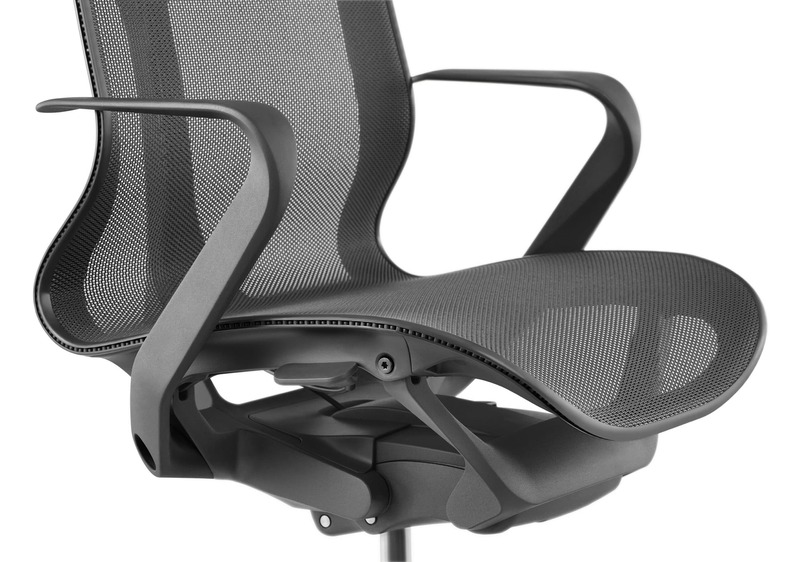 The tilt instantly provides balanced support and movement depending on your body and posture. The intercept suspension is breathable and temperature-neutral while the continuous form of the suspension conforms to each person’s body. So, you can sit down, get to work, and forget gravity. 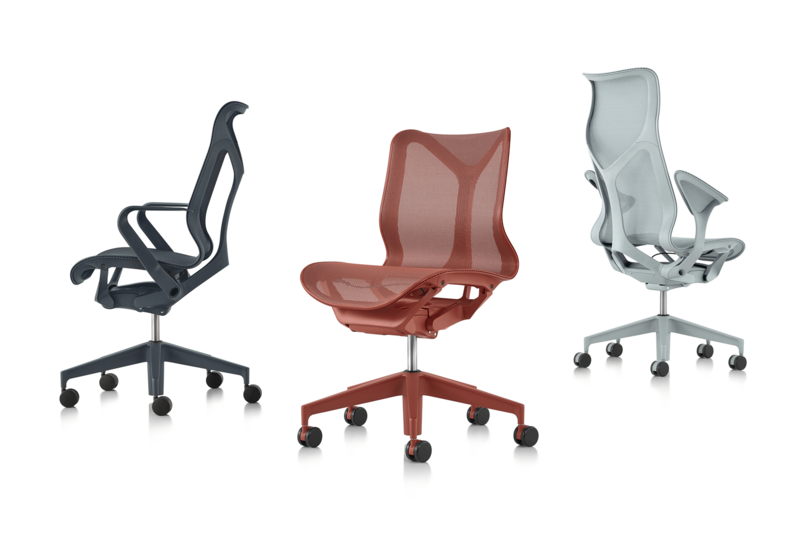 Cosm’s “Dipped in Color” option adds exceptional, saturated color to seating, including pushing the envelope on what is and is not “neutral”. 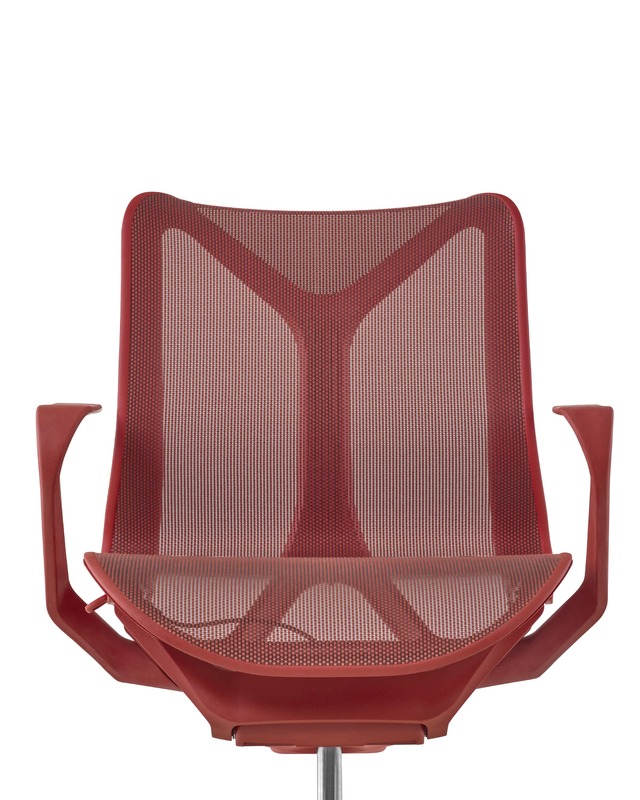 Dipped in Color simplifies and dematerializes the chair, turning it into a sculptural element. By using the same color from head to toe, the chair is no longer parts and pieces, it is one clean object.